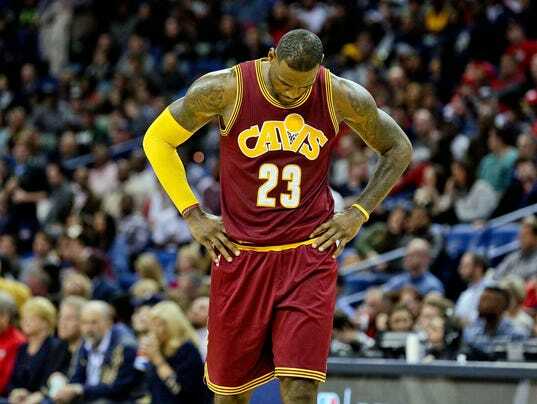 MIAMI (AP) — LeBron James will not play in Cleveland’s game at Miami. Cavaliers coach David Blatt says he made the decision in part because James logged 45 minutes in Cleveland’s overtime loss at New Orleans on Friday night. The Cavaliers landed in Miami shortly after 4 a.m. on Saturday, and didn’t arrive at their hotel for about another hour. It’s the first game James will miss this season, and would have been his third game in Miami since he left the Heat to return to the Cavaliers after the 2014 NBA Finals.